Hungarian Pepper scientifically known as Capsicum annuum spp is actually a member of Capsicum annum and a close relative of the banana pepper. There are several varieties of Hungarian peppers ranging in heat from mild to spicy depending upon variety. In commercial marketing today banana pepper and Hungarian pepper are frequently used interchangeably in the naming of this pepper with “hot” or “sweet” tagged on as an indication of heat level and flavor. 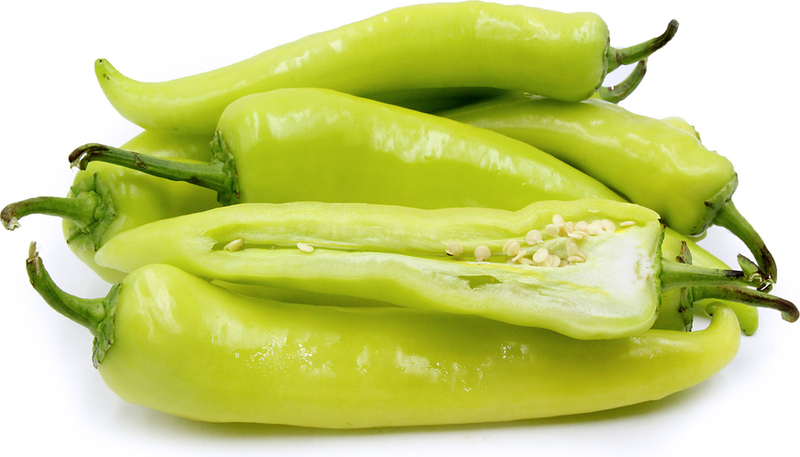 Hungarian peppers are considered a “sweet-hot” chili pepper. They are used in a variety of ways in cooking, and they are accessible in grocery stores and farmers’ markets as fresh produce, in addition to being sold in pickled form. Hungarian pepper has a waxy translucent exterior. They are normally 4″-6″ inches in length (102mm-152mm) Skin is normally thin with thick flesh which is pale yellow colored when mature. 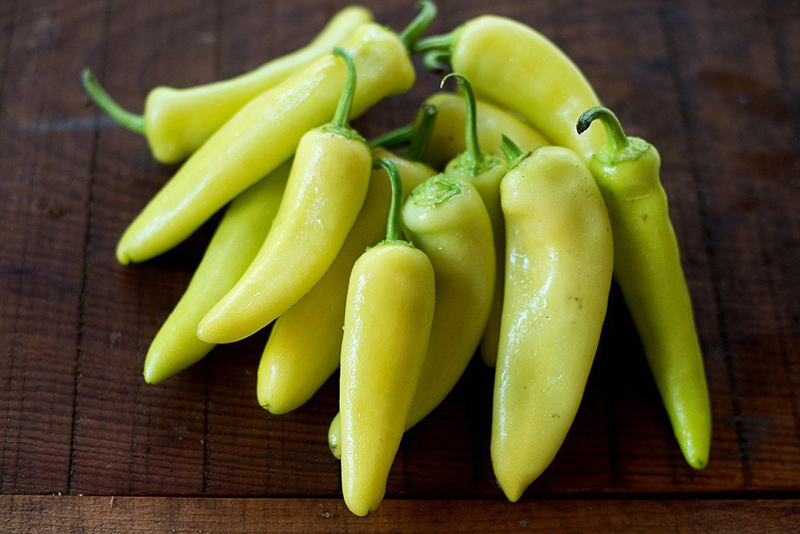 Early in the season the peppers are yellow with a mild, sweeter taste. As the season progresses the peppers turn shades of orange and red, and get hotter but they are frequently used in its immature stage. Taste and flavor of the pepper may differ from mild top hot depending upon variety and maturity. Heat of the Hungarian Chile pepper will intensify considerably if allowed to ripen completely. On average its Scoville rating ranges from 5,000 – 15,000 units. 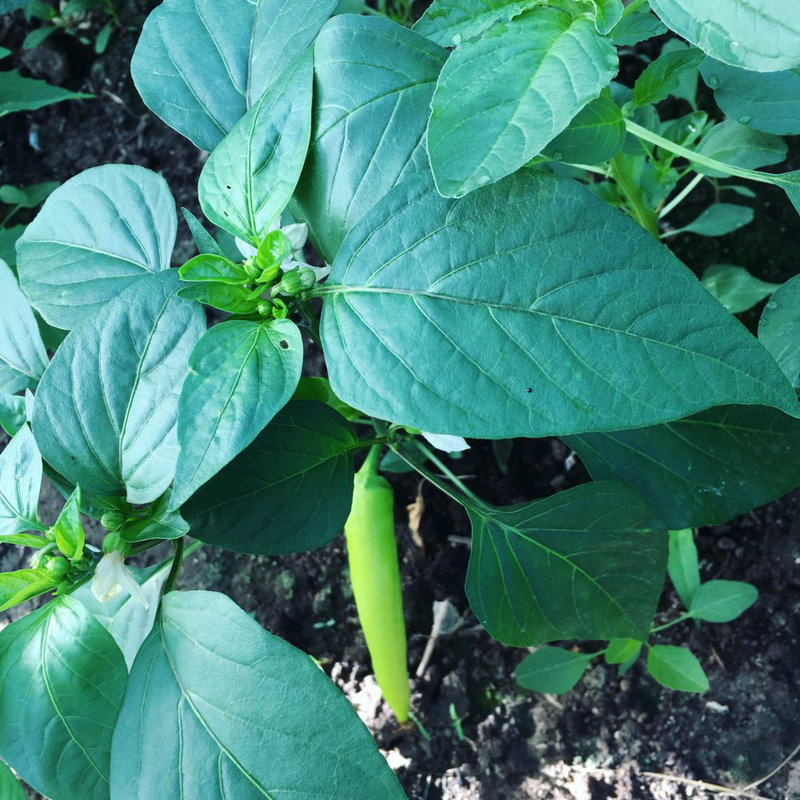 Hungarian chilies are accessible during summer months. Rind is perfectly edible and in fact very flavorful. Since it has fairly mild flavor, it can be unpleasant to people who are extremely sensitive to heat. Some people love to remove the seeds and white ribs from the pepper to lessen the spice, while others prefer to leave them in so that they get a good hit of the flavor. 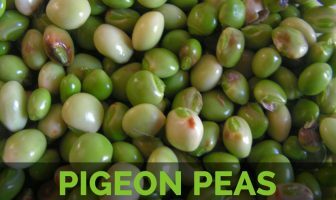 It can be used raw and fresh in salads, marinades, dressings, as well as other dishes. They can also be added to stews, as they are in Hungary, and pickled for use as appetizers and garnishes. These peppers can also be roasted and pickled for more flavors, or dried for use out of season. 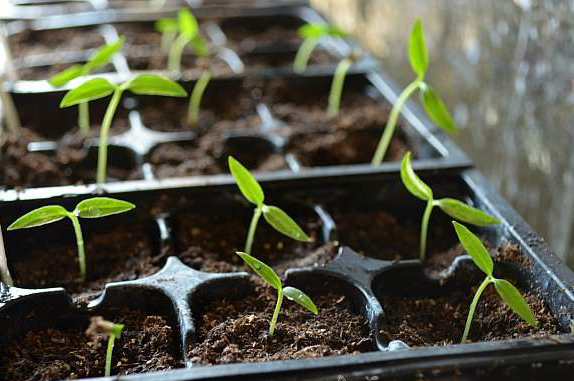 Peppers do well as container plants; therefore it can be handy for people with limited gardening space. 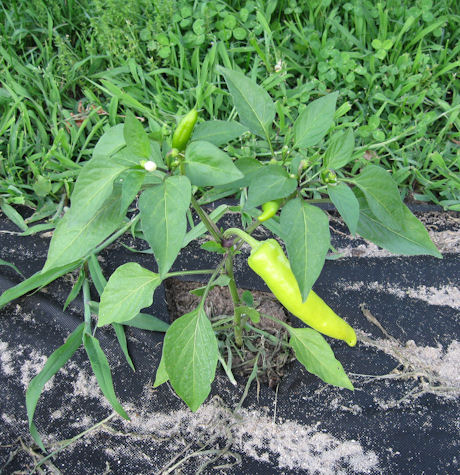 The Turks introduced the pepper plant to Hungary during their rule in the 16th-17th centuries. At first it was considered and used as an ordinary plant and decorated the gardens. Shepherds and herdsmen who had more interaction with the invaders started spice their meals with the fiery powder. Then it got to the kitchens of the peasants. Aristocrats found the peasant foods flavored with the red spice very tasty and slowly they started to use it too. By the 19th century Hungarian pepper became a dominant spice in Hungarian kitchens and restaurants and today it is grown and consumed throughout the world. 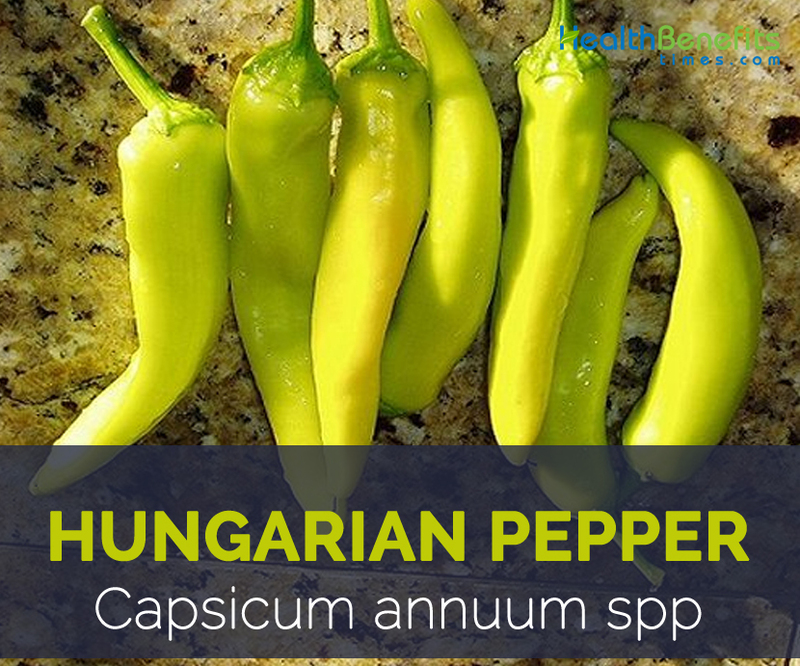 Apart from their mild hot taste, Hungarian pepper is a good source of nutrients, vitamins and minerals. Consuming 100 gram of Hungarian pepper offers 92.9 mg of Vitamin C, 0.517 mg of Vitamin B6, 53 µg of Vitamin B9, 0.115 mg of Copper, 0.204 mg of Manganese and 9.9 µg of Vitamin K. Moreover many Amino acids 0.01 g of Tryptophan, 0.03 g of Threonine, 0.026 g of Isoleucine, 0.042 g of Leucine and 0.036 g of Lysine are also found in 100 gram of Hungarian pepper. Hungarian pepper’s medicinal benefits are concentrated mainly around the fact that it comes from the ‘Capsicum annuum’ pepper plant family. This plant family is loaded with a very important chemical compound called Capsaicin. Cataracts are the most common disorders of visual problems. A decrease in the level of vitamin C in the lens of the human eye has been found more commonly when cataracts are present. An increase of vitamin C intake increases the blood supply to the ocular areas of the body. Hungarian pepper is one of the best methods for obtaining sufficient amount of vitamin C as it contains 92.9 mg of vitamin C which is 103.22% of the daily recommended value. Low levels of vitamin B6 have been related with increased symptoms of rheumatoid arthritis (RA), with more severe pain. Earlier researches discovered people with RA and need more vitamin B6 than healthy people because they experience constant muscle aches and joint pain due to prolonged inflammation. Vitamin B6 present in Hungarian pepper is beneficial for curbing pain and can be useful in supplement form for controlling aches in the muscles and joints due to arthritis. Including Hungarian pepper is one of the best methods of obtaining Vitamin B6. Several researches have shown that high levels of vitamin B9 help to prevent lung cancer. An increase in the consumption of Hungarian pepper helps to control the growth of precancerous bronchial cells in people who smoke, since Hungarian pepper consists of considerable amount of vitamin B9. Normally smoking reduce the supply of vitamins in the body, and low vitamin B9 levels lead to the development of lung cancer in smokers as well as ordinary people. 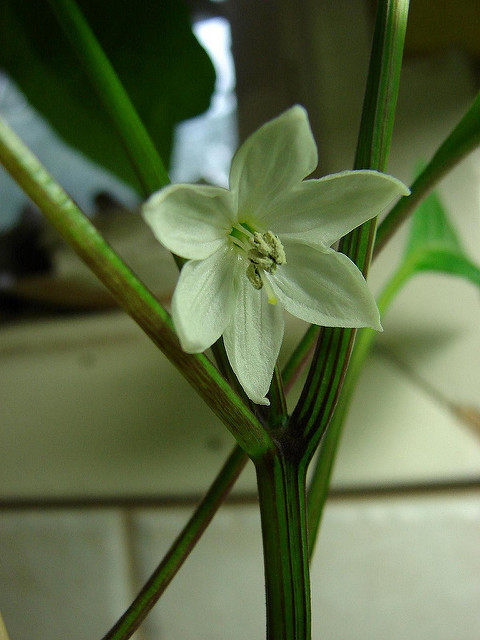 Hungarian pepper is a vital part of the healing process and guarantees better wound healing. It acts as an exceptionally good immunity builder, and it works as a cure for anemia, that allow your body to both defend itself better and heal itself faster. It is a co-factor in numerous enzymatic processes that result in endothelial growth, or the healing process of tissue. Boron, manganese, and vanadium are considered an important component of bone building and maintenance. Hungarian pepper, when taken with calcium, copper, and zinc appears to prevent bone loss in the spine in post-menopausal women. Osteoporosis incidences in both men and women (25% rate and 50% rates, respectively) have bone fragility from the malady sufficient to break bones. Vitamin K present in Hungarian pepper has been shown to prevent calcification of arteries, which is one of the chief causes of heart attacks. It works by carrying calcium out of the arteries and not allowing it to form into hard, dangerous plaque deposits. Apart from that Hungarian pepper helps to prevent hardening of the arteries because it can keep calcium out of your artery linings and other body tissues, where it can cause damage. This is particularly true for vitamin K2, which is the vitamin that is made naturally in the bacteria of your intestines. Intake of large quantities of niacin, 1100 or more milligrams in a day, has been proven to significantly decrease the levels of “bad” LDL cholesterol and increase the good HDL cholesterol, which prevents the thickening of artery walls and conditions like atherosclerosis. To get sufficient amount of niacin, Hungarian pepper is the best option since it contains 1.092 mg of vitamin B3 which is 6.83% of the daily recommended value. Regular consumption of Hungarian pepper ensures smooth functioning of the brain and helps improve memory and concentration as it consists of considerable amount of vitamin B1. Vitamin B1 helps relieve stress and also helps strengthen the nerves. It is also used to reduce the progression of multiple sclerosis, Alzheimer’s disease, cirrhosis, and other infections. Vitamin A deficiency may result in drying, scaling, and follicular thickening of the skin. Keratinization of the skin, when the epithelial cells lose their moisture and become hard and dry, can occur in the mucous membranes of the respiratory, gastrointestinal tract, and urinary tract. Consume vitamin A rich food like Hungarian pepper to get required amount of vitamin A through your diet. It can be used raw and fresh in salads, marinades, dressings, and other dishes. They can also be added to stews, as they are in Hungary, and pickled for use as appetizers and garnishes. These peppers may also be roasted and pickled for more flavors, or dried for use out of season. Calories 29 Kcal. Calories from Fat 3.69 Kcal.